marlowe55, platinumEX, WatchDialOrange and 1 others like this. Here it is! The only problem I've found so far and am reaching out for help with is removing links from the bracelet. The screws are so dang tight! What is the proper size of screwdriver to use? I believe I have the right one but could only get one side to loosen and it needed two links. I wanted to put one on each side to make it even but I couldn't. I hit the screws with heat but none of the others are loosening up. Any thoughts or advice? Here are the pics I have so far. Last edited by Eclipse0001; May 2nd, 2014 at 14:37. 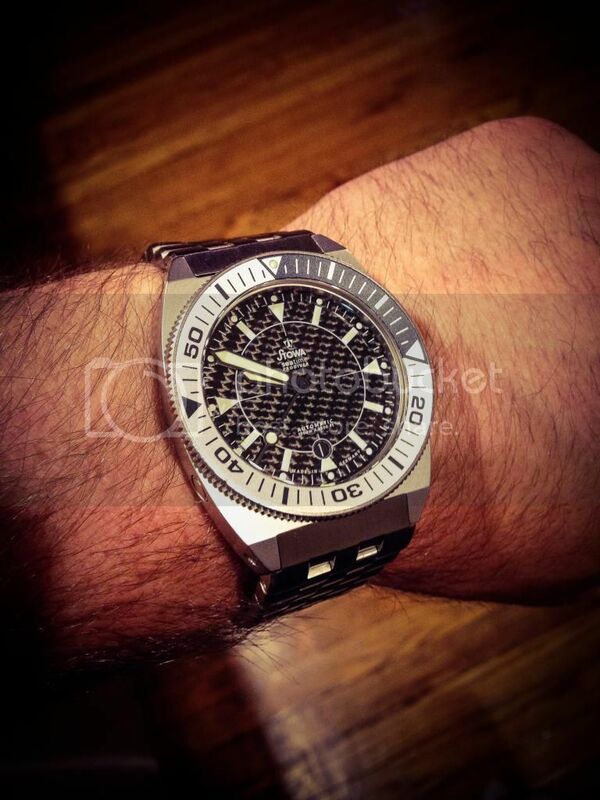 Great looking Prodiver and an outstanding choice. Congratulations. I used a #140 screwdriver (grey colour ring on the handle) to size my bracelet, which worked well. You may wish to tape around the screws before you try to remove them, it should protect the bracelet in the event of slippage. Thanks for both the compliments and the information on removing screws. I may have to order actual screwdrivers for the job. Which ones do you have? I bought one of those 2 dollar, made in China kits. The one seems to do the job when/if I get a screw loosened up enough. I'll be ordering the one you mentioned today. So far, I love the Stowa! I've timed it since I got it yesterday. It's about +2 after about 18 hours. I think it will be well within COSC standards by 24 hours. Last edited by Eclipse0001; May 2nd, 2014 at 16:17. 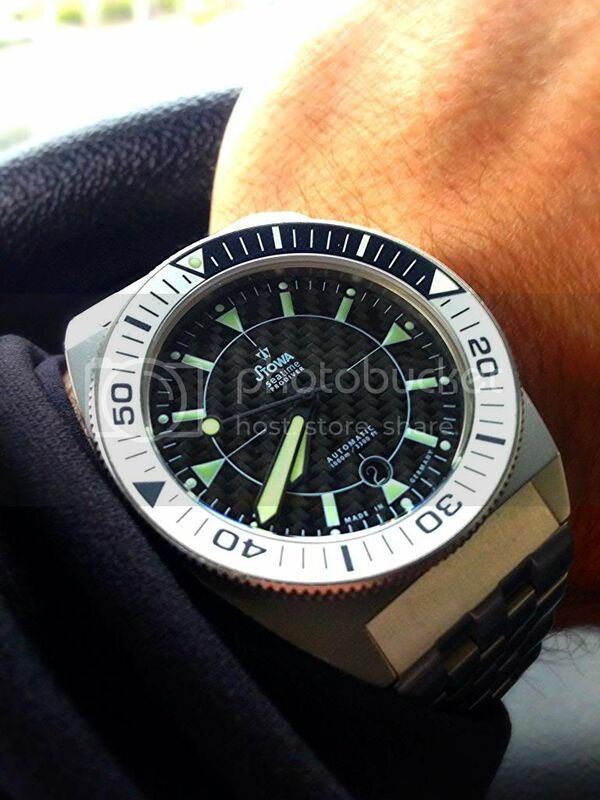 Great looking Stowa Prodiver Congrats!!! I took my watch and SS band to the local watch shop and they sized it for me for free. Took them 5 minutes and no scratches to be seen! Anyone here have their pastel coloured dials to share pictures of please? Saw a couple before but the more pics the better! Wish stowa would release a new batch of those pastel dials. Thanks, I worked on it over the weekend and ended up giving up because I am going to ruin the screws... I emailed Stowa today to see if I can just order another bracelet. I'm so mad about it. I hate screwed links! This is why I sold my Halios Laguna and I'm starting to think about just selling this one. I enjoy it on my wrist but it frustrates me to know that someone put the damn screws in so tight that the proper sized screwdriver and some muscle can't get them out. I don't enjoy it on the rubber strap and I'm not a fan of Natos either. I want to wear it on the bracelet and that's it. 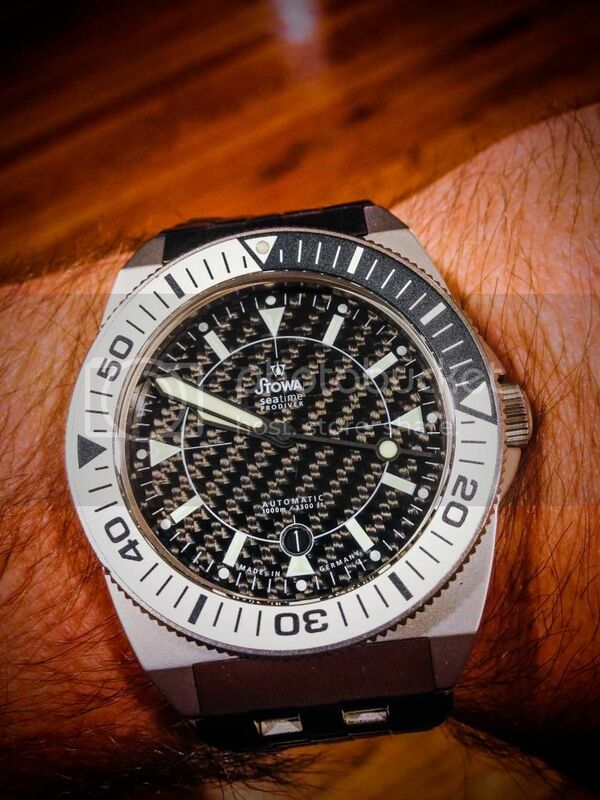 There are no local watch shops that will work on the screws. Last edited by Eclipse0001; May 5th, 2014 at 21:29.